Even before Christian Harder hoisted the 2017 PokerStars Championship Bahamas trophy, officials at the worldwide leader in online poker, PokerStars, knew that in 2018 they would need to make changes. Registration for the newly re-branded tournament was the lowest it had been in a decade and so in order to get back on track, the company turned to its customers in an effort to polish up the premiere poker getaway formerly known as the PokerStars Caribbean Adventure. In August, PokerStars announced a number of changes to the crown jewel of their live event calendar, including restoring the brand back to the PokerStars Caribbean Adventure. Along with reverting the name of the event they also rolled back the buy-in for their Main Event from $5,300 to its long-standing traditional $10,300 buy-in, assuring a gigantic prize pool for those who make the trip. Another promised improvement for 2018 – more online qualifiers. PokerStars is determined to pack the Atlantis Resort, the longtime host to the PCA, with players who won their way into the Main Event by capturing a coveted all-inclusive package through the PCA Ultra Satellites. The PCA Ultra Satellites are guaranteeing at least 100 players a $15,855 prize that includes everything one would need to bask in all of the sun, surf and suckouts the Bahamas has to offer. The next 100-seat, $1.5 million guaranteed $530 Ultra Satellite takes place at 14:35 ET on November 5 on PokerStars. In addition to being able to buy directly into the tournament players can win their way into the big event for as little as $1 and in almost every game PokerStars has to offer. From dedicated on-demand Spin & Go’s to multi-table-tournaments to cash game challenges, PokerStars is allowing you to pick your ownRoad To The Bahamas path and entry into the $530 Ultra Satellite. Winners of the package will receive a buy-in to the $10,300 Main Event, nine nights accommodation for two at the Atlantis Resort (from January 6-15), $1,000 room credit that can be applied to purchase food and drink during the festival and an additional $1,000 deposited directly into players’ PokerStars account to assist towards travel expenses. Just note, with players from all over the world qualifying for the trip, travel arrangements are not handled by PokerStars but by the players themselves. PokerStars’ Director of Corporate Communications, Eric Hollreiser had previously commented that they are “committed to sending at least 400 players to this must-play event.” By all accounts, they are working hard at it. 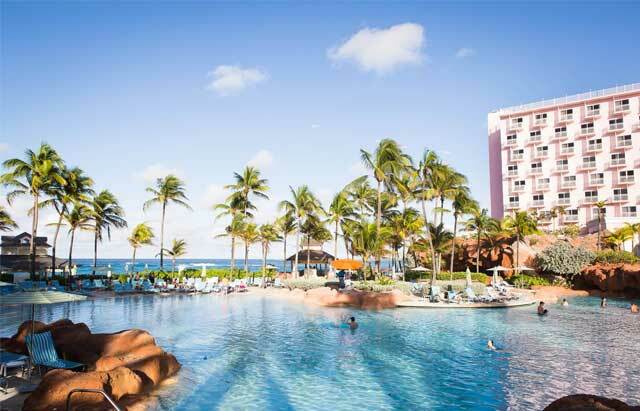 Not only is PokerStars offering the PCA Qualifier packages in New Jersey for the first time, but the site also covered more than a half a million dollars in overlay in the previous PCA Ultra Satellite, which resulted in approximately 36 free trips to the Bahamas. With more qualifiers, a promised rake reduction (one that is calculated to save players approximately $300,000) and a more streamlined schedule of events PokerStars seems resolved to make the new and improved PCA a poker getaway more desirable than ever before. The PokerStars.com $530 PCA Ultra Satellite takes place on November 5 at 14:35 ET with 100-seats guaranteed to be given away.